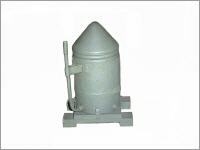 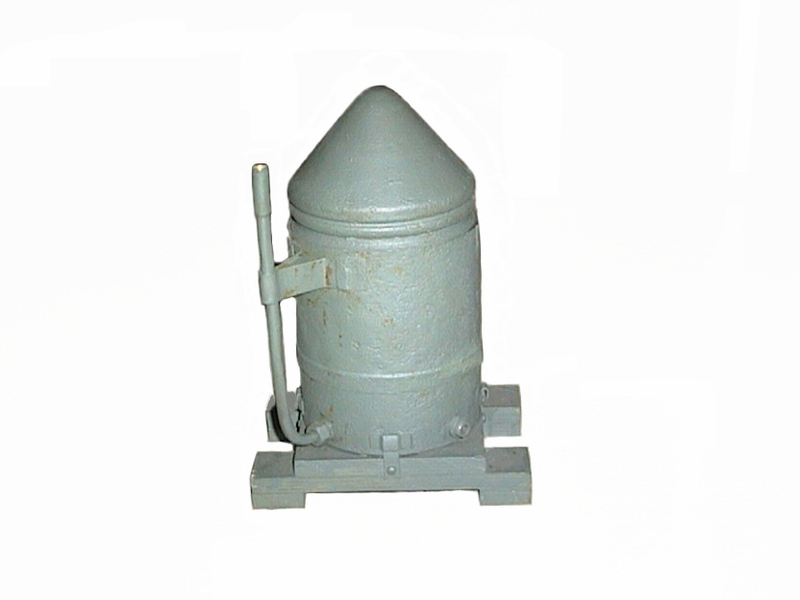 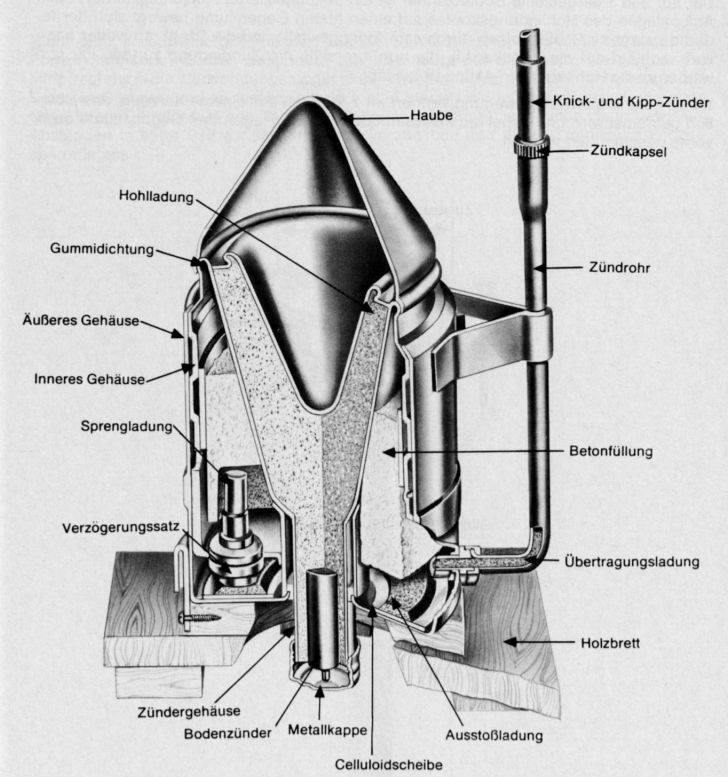 This hollow-charge bounding mine was factory-constructed with the head of a Panzerfaust . A concrete ring was added to the mine for anti-personell effects. 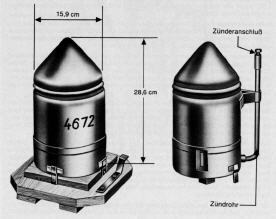 On function, the mine was launched from the ground and would detonate on impact. 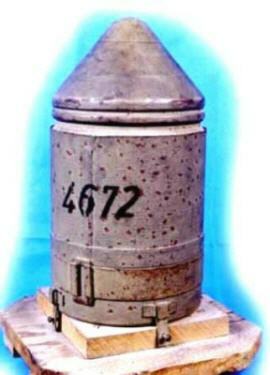 When there was no impact, the mine would self-destruct with the second fuze that was initiated at launch. Fuze : Knickzünder 43 or Kippzünder. 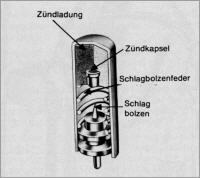 Information and photo right © Lothar. 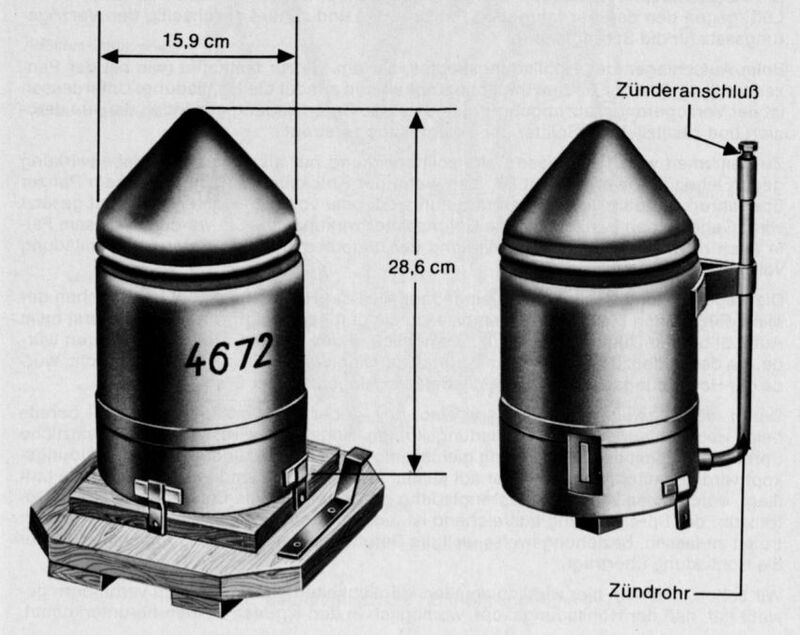 The drawing on the right shows the base fuze for this bounding HEAT mine. 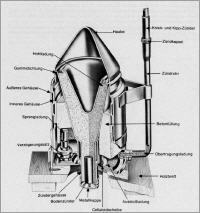 It was very simple in construction and functioned on impact.